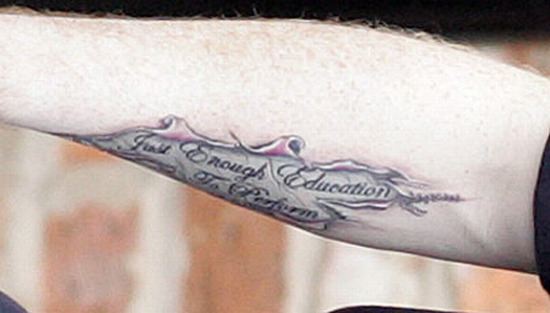 Home Off Beat	Find Rooney’s newest possession on his arm! Having found a place on his right forearm, the tattoo obviously speaks of his admiration for his favorite band, Stereophonics. The tattoo name also happens to be the name of the band’s album that was released in the year 2001. The footballer’s association with Stereophonics took genuine shape during the former’s wedding where the bride specially requested the band to perform. The biggest highlight of this event was that it came as a surprise for the MU star. ← Tattoos that fetch Olympic medals!